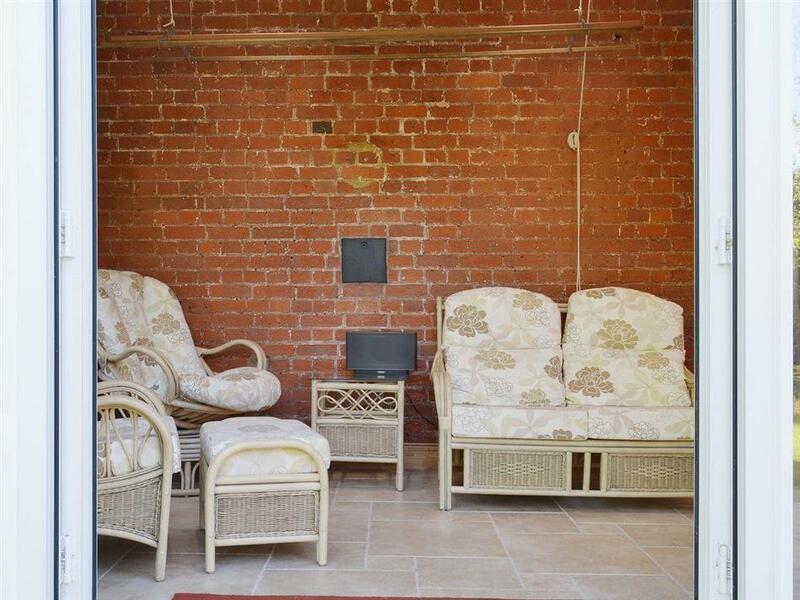 Redmoor House in Wisbech sleeps 8 people. From the moment you open the imposing electric gates and drive down the leafy driveway at Redmoor House in Wisbech, you will start to feel as though you are on holiday. Uniquely created, Redmoor House is almost a holiday destination in itself and has been carefully renovated to provide discerning guests luxury accommodation with so many facilities that you will struggle to tear yourself away. An indoor heated swimming pool, with a counter current jet, will provide the opportunity for year round swimming to both keen and new swimmers alike, with shower facilities as well. Those wishing to stay in shape can also enjoy a well-equipped gym with a sauna and hot tub to relax in, and ease their muscles after a good work out. There is also a games room on site and a large cinema area with a 170’’ screen in the separate lesuire barn that is in the grounds, just 50ft across the garden. There is even comfortable seating and a kitchenette with a fridge, so you can enjoy ice cold refreshments while you relax and watch a film. In the beautifully maintained gardens you will find a basketball hoop and a pitch and putt area, along with hidden pathways through the trees, providing a magical, almost secret garden to explore. The owners have incorporated lighting in to the garden to ensure it looks beautiful, day and night. The location of Redmoor House means that whilst you are just a few hundred yards away from a leisure complex with restaurants and a multi-screen cinema, you will feel as though you are quite literally miles from anywhere. The house itself has been thoughtfully appointed to provide 4 generous bedrooms, one of which is on the ground floor and has a shower room close by. Those wishing to explore won’t be disappointed either, as you can be at the gateway to the beautiful North Norfolk coast in just over 30 minutes, or Ely, with its majestic cathedral, in a similar time. Also close by lies the Hanseatic Quarter of Old Kings Lynn, The Royal Sandringham Estate and the university city of Cambridge. 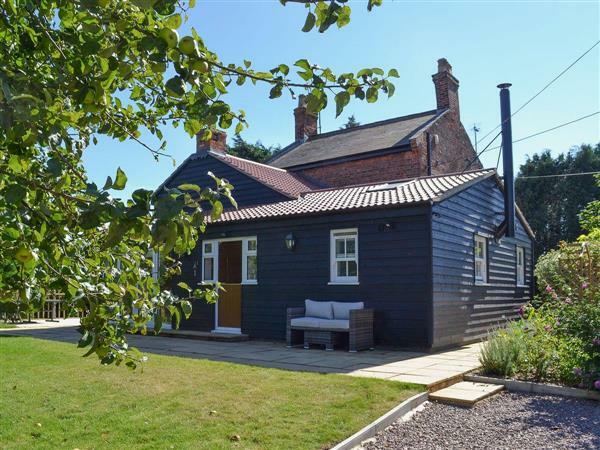 So whether you would like a holiday home where you can literally stay in and enjoy time with friends and family, while still having lots to do, or you would like to explore Cambridgeshire and Norfolk, Redmoor House is the perfect choice. The shop, pub and restaurant are all 600 yards from Redmoor House in Wisbech. Redmoor House has a step to the entrance. Living area: With open fire and 40 Freesat TV. Bedroom 1: With multi-fuel burner and kingsize bed. Games room: With air hockey, pool, table tennis and double sofa bed (for flexible sleeping arrangements). Cinema room: With 170 projector screen and kitchenette with fridge. Gym: With cross trainer, exercise bike, multi gym and punch bag. Oil underfloor central heating, electricity, bed linen, towels and Wi-Fi included. Initial fuel for open fire and multi-fuel burner included. Travel cot, highchair and stairgate available on request. Welcome pack. 1½ acre garden with patio, decked area, garden furniture and barbecue. Private hot tub for 5. Private sauna. Private indoor swimming pool (8.5m x 4.25m, depth 1.2m) with current jet. Bike store. Private parking for 4 cars. No smoking. Please note: There are 4 steps in the garden. Holidays at Redmoor House run from Friday to Friday. For a better idea of where Redmoor House is, you can see Redmoor House on the map below. Redmoor House is in Cambridgeshire; should you be on the lookout for a special offer, you can find all the special offers in Cambridgeshire. It's always worth checking to see what is on offer at the moment. Do you want to holiday near Redmoor House (UKC846), you can see other cottages within 25 miles of Redmoor House; have a look to find your perfect holiday location.